Waiting on Wednesday is just getting cruel now – I’m basically not buying any books for a long time so I just get to sit here and sadly eat chocolate whilst I admire all the beautiful books that I won’t by, *sobs*. On another, I’ve decided I’m going to try and read 15 books in November *distant laughing* (the most I’ve ever read in a month is 10 . . . sooo) – how many books do you think you’ll get to? 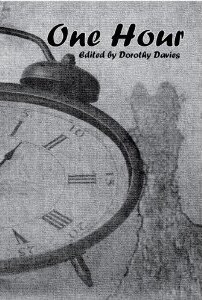 Truth be told, the main reason I was originally drawn into this book was because its title sounded somewhat similar to “Dead Poets Society”, and that’s clearly a good reason to judge a book. But then I actually read the blurb – HOLY COW – have you read it? No? Silly billy, scroll back up and read it, trust me. I almost want to break my unofficial book buying ban to get my grabby hands on this. There’s nothing that shouts READ ME more than a game that isn’t a game and probably ends up killing at least 3 of your favourite characters. You know its true. I am a book depository affiliate so I would greatly appreciate it if you use my provided links to pre-order/buy this book! I will be paid a small commission, at no extra cost to you, from the company and that goes a long way! Other books by Krys . 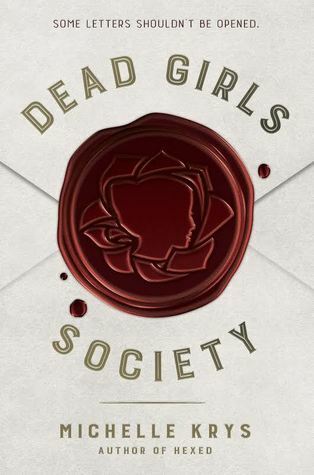 . .
Ooh, Dead Girls Society sounds fun! 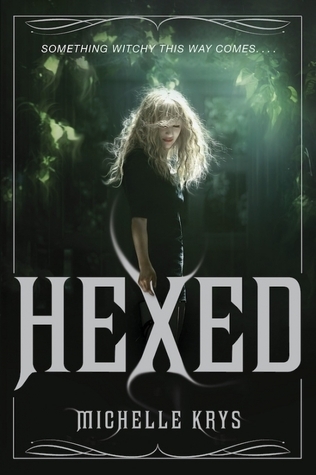 I’ve heard really good things about Hexed. Yes!! I’m really keen to read it – I think it sounds really promising!